It is well known that a felony conviction can have a drastic impact on your lifestyle and well-being. Not only will a felony result in negative consequences in the short term due to strict sentencing and costly fines, but a felony conviction will also follow you for the long-term in the form of criminal history that is public information as long as it stays on your record. Although you may have been charged with a felony, this does not necessarily mean that you will be convicted. One of the ways to put yourself in a good position regarding a possible reduction of your sentence or a dismissal is to contact a competent Arizona felony defense lawyer who has the legal understanding to help you with your case. Considering the prosecutor is required to prove you committed every element of your offense beyond a reasonable doubt, a competent criminal defense attorney can provide you with a better chance to walk away with your life and freedom fully intact. If you or a loved one has been charged with a felony in Tempe, or in the surrounding cities of Mesa, Tempe, Scottsdale, Chandler or Gilbert, the Law Office of James E. Novak may be able to help. With over a decade of experience helping those with pending felony charges in Maricopa County, James Novak is a well-informed criminal defense attorney who is capable of defending your case and putting you in a position to clear your name and get on with your life. Take advantage of attorney James Novak’s ten years of experience defending those charged with various types of felonies, and call (480) 413-1499 for a free consultation, or send an online message today. With the growing use of background checks for various aspects of our lives, a felony conviction can make it harder to obtain employment or simply live life the way you would like, without any impediments to your happiness. Not only potential employers, but landlords and many others make it a point to check your criminal history. As you can see there are social, financial and legal issues that may arise from a felony conviction, leaving you without the freedom and liberty of choice that you have enjoyed for so long. As a convicted felon, you may be free, but you are still a prisoner in many regards. Many, if not all, of these issues could potentially be avoided if you make the choice to align yourself with a respected Phoenix felony defense lawyer who understands the legal system and can fight for your rights. Theft involving use of a weapon, such as armed robbery. In all of these specific cases involving mandatory sentencing, it is vital to find a criminal defense attorney who can develop the correct plan of action to keep you from having to deal with the extreme consequences of your actions. If have been charged with robbery in Mesa, aggravated domestic violence in Scottsdale, sale of marijuana in Tempe, or identity theft in Gilbert, the Law Office of James E. Novak should be able to help. Arizona Department of Public Safety – This site offers information on the criminal laws within the state of Arizona, along with resources conce rning driving record requests, traffic offender information, crime victim services, and traffic ticket information. Maricopa County Website – This website contains information on pertinent addresses, locations and services within Arizona’s Maricopa County, and includes references for specific districts, the Sheriff’s Office and drug prevention resources. 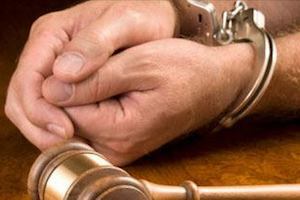 If you or a loved one has been charged with a felony offense in Mesa, or in the surrounding cities of Tempe, Gilbert, Chandler, Scottsdale or Phoenix, then it is important to contact a capable and experienced criminal defense attorney who understands your rights along with the laws that you have allegedly broken, which allow for a proper defense. With over a decade defending those dealing with felony charges, along with years spent previously as a state prosecutor, James Novak is particularly qualified to handle many types of felony criminal cases. He will use his legal understanding and experience to make every effort to help put you in a favorable position with regard to fighting the alleged offense. Felonies have the potential to have serious negative implications in many areas of your life, so finding the right defense team is vital in the process of clearing your name. Call the Law Office of James E. Novak today for a free consultation to discuss your felony charge and develop a proper strategy to fight your charges. As a knowledgeable attorney with the resources available to develop a smart and effective defense, James Novak can help you achieve a positive outcome that allows you to move forward with your life. Call (480) 413-1499 for your free consultation meeting or send us an online message.